My son and I just returned from a wonderful golf vacation in Scotland. 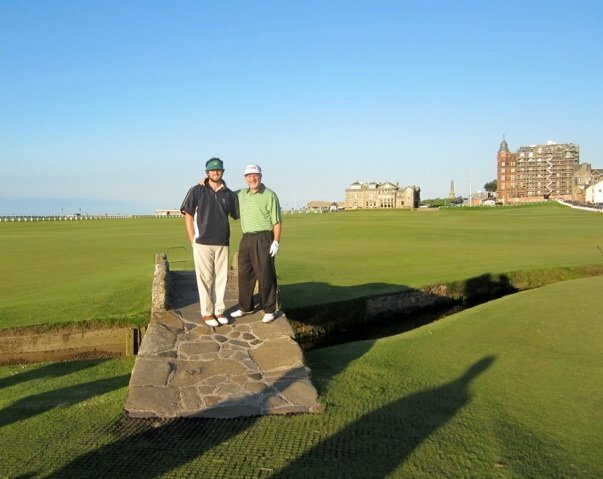 Our good fortune began with a referral to Graeme Gilbertson and Golf Vacations UK. Transportation, accommodations and tee times awaited us upon landing in Edinburgh. Graeme made adjustments to our trip fine tuning until our departure date. After rounds at Royal Dornoch and The Championship course at Carnoustie, the high point was an email from Graeme informing us of our selection in the lottery at The Old Course. Actually, the climax was my son’s birdie to a loud ovation at the 18th.